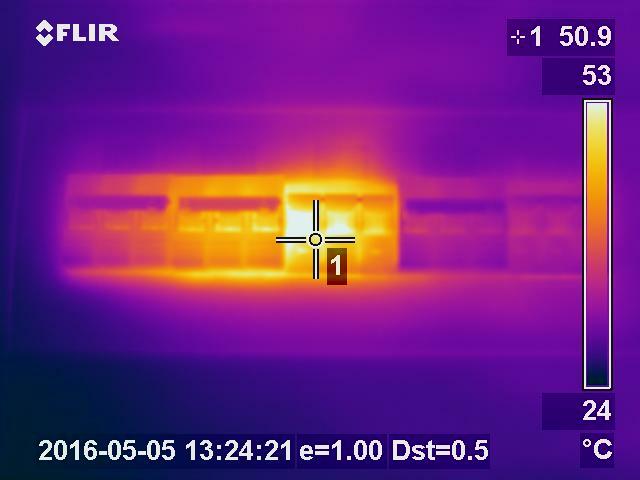 We carry out an electrical thermal imaging survey to identify electrical faults. No interruption to day to day operations occur during the survey. This process starts with our Electrical Surveyor/Electrician surveying the site to familiarise themselves with the layout and type of equipment. We then identify issue areas using specialist thermal imaging equipment and using our expertise to analyse the images recorded. We then provide details as to the cause of the problems and what is required to fix them and prevent potential issues. The faults we are looking for are loose or poor connections which we can rectify for you starting with the most severe. We offer annual surveys as prevention to potential electrical issues which help your business to function as normal and reduce productivity losses. Use of Infra red camera for preventative maintenance, locating potential faults before they become a problem. Possibly reducing fire risk & insurance premiums!